Optiemus Infracom, the brand responsible for selling Blackberry smartphones in India is expected to launch two new Blackberry devices in the coming days. Going with the moniker Blackberry Ghost and Ghost Pro, they both will feature bezel-less design, much like several smartphones releasing these days. The Blackberry Ghost was leaked earlier, while the Ghost Pro’s render today surfaced online. Both the renders are leaked by tipster Evan Blass, and surprisingly, he did not reveal any other news about both the phones, except for the existence of the devices. That said, both the Blackberry Ghost and Ghost Pro are expected to land sometime in Q2 2018 and India could be the first market to get these phones. Going by the today’s render of the Ghost Pro, it will feature a metal frame with volume rockers and power button placed on the right side. 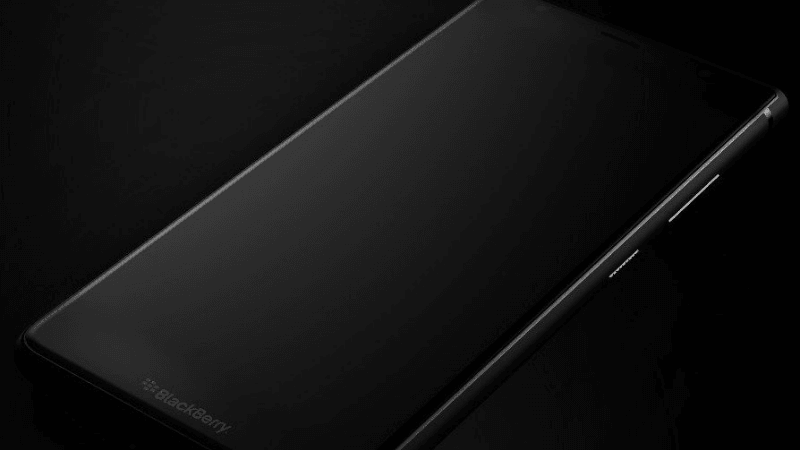 The chin of the phone will house the Blackberry branding along with the logo. There’s no information regarding the pricing, specifications and launch date of these phones, but we’re pretty sure that the Ghost Pro will feature better hardware than the standard Ghost. The former might come with better RAM, storage, bigger display and battery than the latter, same as the Galaxy S9 duo. Also, it’s unknown whether these phones will be flagship devices for Blackberry. Its been a while since Blackberry launched something in India as the last launch happened way back in August 2017. The Blackberry KEYone was launched in August 2017 in India for a whopping price of Rs 39,999. But the KEYone was a completely worth the price product as we said in our full review. It offered that good-old Blackberry feel, featured good hardware (surely an overpriced one) and had capable cameras. The KEYone is now retailing on Amazon India for around Rs 35,999. I agree! BlackBerry KeyOne is really good. Looking forward to the two new BlackBerry phones.